Tech guru and Linux fan Michael Larabel says he was at Valve yesterday. And that while he was there, he was told that the company's Steam platform is on its way to Linux operating systems. While further details are to come later today when he has a chance to write everything up, Larabel did at least get the basics out via his Twitter account, saying not only is Valve working on Linux-compatible titles, but that Steam itself is coming to the platform. Which is...good news for Linux users, I guess? It's also a sign of just how much time and money Valve has, that it can dedicate people to getting their service up and running on a platform with such a (relatively) small user base. Guess that's what you get when you let your employees work on whatever the hell they want! 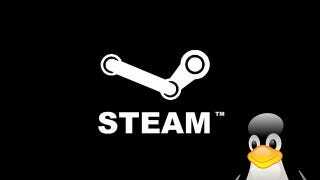 Readers with long memories may recall that in 2010 some British sites reported that Linux on Steam was a done deal, a report Valve themselves denied. It was also in 2010 that traces of a Linux version of Steam were found in the Mac OSX edition.